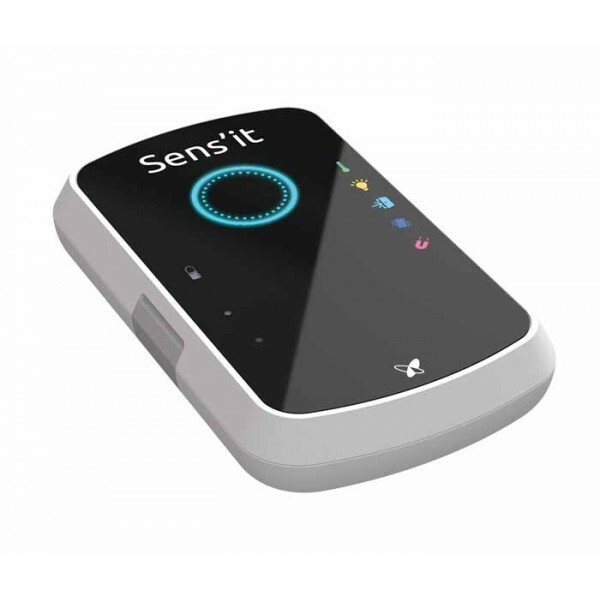 Sens'it 3 Device, Six sensors, one button, so many possibilities. 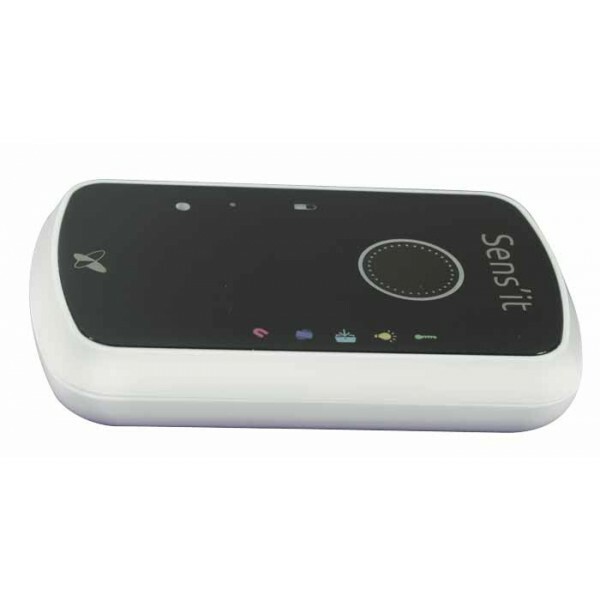 Sens'it 3 is an electronic object with several sensors and the ability to communicate on the Sigfox network. This off‑the‑shelf device can be customized for many IoT use cases. 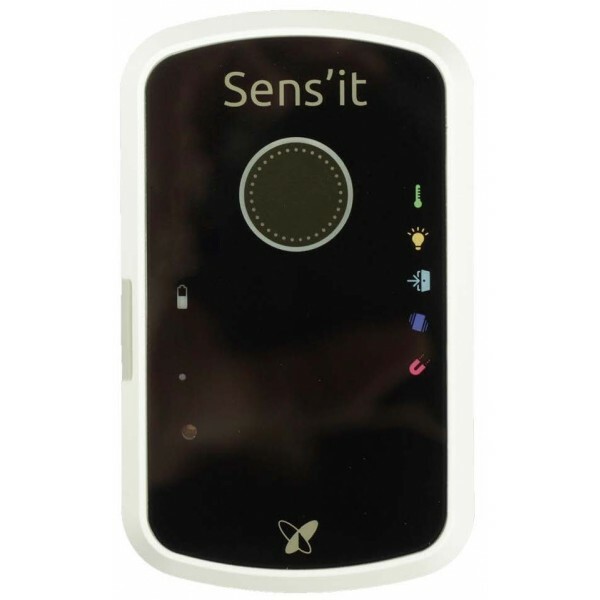 Sens'it 3 includes several sensors, a Sigfox modem and a battery, in a dedicated housing. It is fully reconfigurable and therefore can be used for specific behaviors. A dedicated Software Development Kit (SDK) is available on www.sensit.io. Thanks to this SDK, developers can create their own firmware. They can rewrite the Sens’it behavior and include the device in a custom end-to-end solution, combining it with an in-house online platform for tailored data analysis. As a devkit, thanks to the Sens'it SDK. 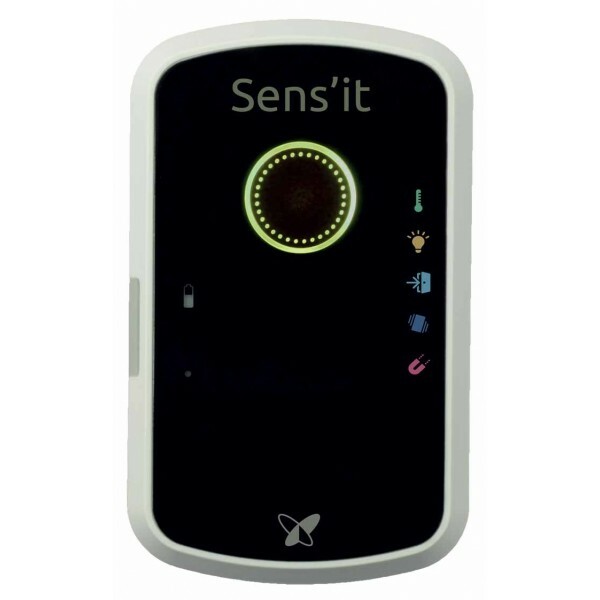 With a button and 6 different sensors, the device can be used for many use cases. Switching modes is as simple as pressing a button. The Sens'it periodically sends both ambient temperature and humidity. The Sens'it periodically sends ambient brightness. The Sens'it sends data every time a magnet is detected close to - or removed from - its side. Once the Sens'it is affixed to a door - or drawer - it sends data every time the door is opened or closed. The Sens'it sends data every time the accelerometer detects a motion. Sens'it Discovery comes with a fully-featured application, for your browser and your phone. See real time feeds of your data. 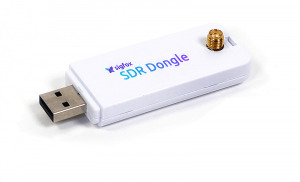 The Sigfox network allows to send up to 140 messages per day of 12 bytes long. The Sigfox network is available in many European countries.